Amish Cockscomb, Celosia cristata, is an annual flower that has beautiful fuzzy red flower heads. This plant is currently growing in the Dean Heirloom Garden at the Lincoln Home National Historic Site, 413 South Eighth St., Springfield, Illinois. At the Dean Heirloom Vegetable Garden, University of Illinois Extension Master Gardener volunteers educate visitors about gardening in 1860's. Cockscomb was introduced into the United States from Switzerland in around 1676. The plant's habit is a branching, upright annual that blooms from summer to frost. Cockscomb as a group comes in shades of purple, white, red and yellow. 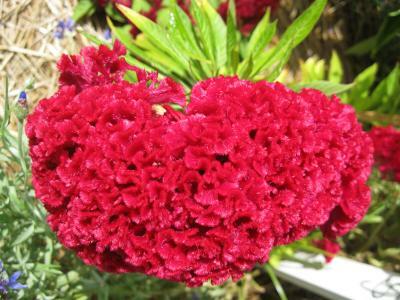 This cultivar blooms in red, is about 12 inches tall, and will spread to about 12-18 inches. It makes a good cut flower and attracts butterflies. The leaves, not the flowers, are fragrant. 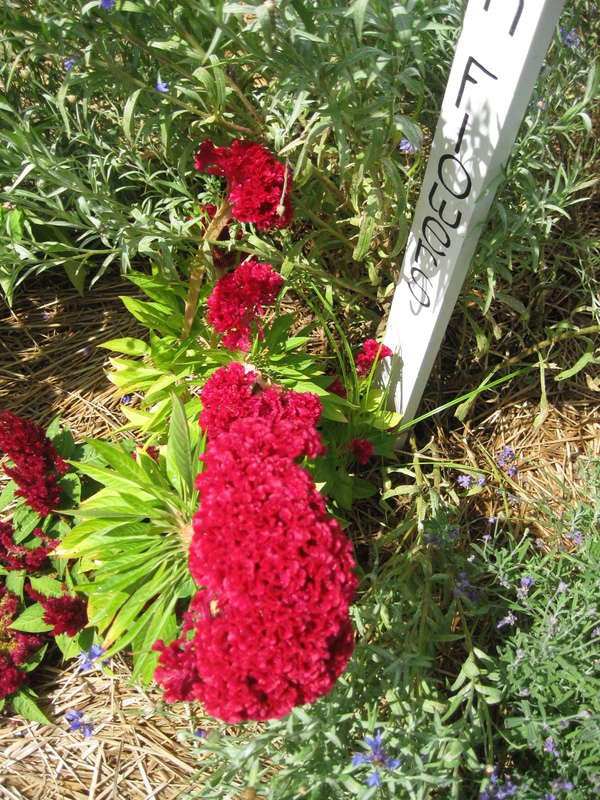 Cockscomb is an easy plant to grow. It likes full sun to part shade. It is also mostly pest and disease free.